Beyond Ready Player One: There’s More to Gaming Movies than Meets the Eye. When Steven Spielberg’s Ready Player One hit the big screen in March 2018, mainstream audiences were given a glimpse in the gaming world. Despite being an industry worth $108 billion annually, a large portion of the general public still don’t understand its roots or diversity. However, with the Time Warner Inc. product grossing $400 million worldwide within a few days of release, people were suddenly interested in gaming. However, it’s worth noting that indie movie makers have been exploring this world for years. In fact, without the need to impress huge production companies like Universal Pictures or MGM, independent artists have been able to delve into the true nuances of gaming in all of its forms. Indeed, when you look at gaming as a modern industry, it’s not just video games that are part of the mix. Social gaming via Facebook is now a major part of the industry. Online casino gaming and, in turn, it’s counterparts, poker, bingo and sports betting, also fall under the “gaming” banner. Beyond the games themselves, content and revenue from streaming sites such as Twitch have also helped to diversify the industry and what we define as “online gaming”. 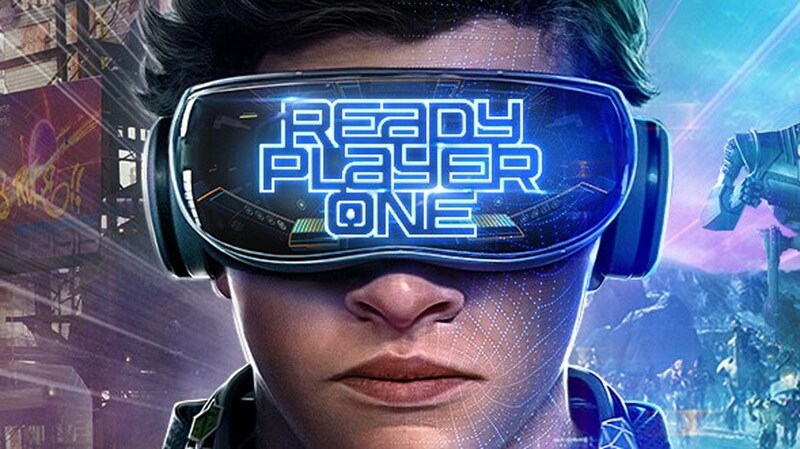 In short, the world of gaming contains a lot more depth than the average movie-goer might assume after watching Ready Player One. Of course, the small-time movie makers of this world have known this for a long time. This is why there is now a library full of options for anyone out there wanting to see this niche in action. Embracing Gaming In All It's Forms. For those with only a few minutes to spare, Mario Caroni's Nerd Forever is a great watch. At just 15 minutes, the story is short but that’s plenty enough to see the hero fight for survival inside a computer game. Although it could have easily been a disaster, the way Caroni has edited the in-game and real-world sequences together works. Across the gaming spectrum, poker has long been a favorite for scriptwriters and directors. Rounders (1998) may have been a low budget production, but a young Matt Damon and an intriguing look at the world of an aspiring poker player helped it become a cult hit. On top of raking in $8.8 million in its first three days, Rounders has since been cited as the reason many pros now play online and live. In more recent years, Sour Milk (2014) by Elliot Gonzo is a slightly less serious look at the game. When a milkman loses his float in a poker game, things quickly turn sour as the reality of his loss sets in. From poker, sports betting and casino gaming have also become interesting tropes in recent decades. As we know, sport has always been popular on screen. From 30-Love (2017) and its allusions to love and life to the cutthroat world of Jerry Maguire (1996), sport is always entertaining on screen. Segueing from this, Mark Illsley’s Bookies (2003) takes a sideways look at a group of friends that become bookmakers. Unlike the oddsmakers at Betway, who have their betting lines audited by groups such as the UK Gambling Commission, the “Bookies” don’t do things by the book. In fact, as Jude (played by Johnny Galecki) and his friends succumb to greed, the leaders of the underworld soon take notice and that’s when things turn south. Looking towards the casino side of the industry, Bob le Flambeur (1956) by Jean-Pierre Melville is a film noir that’s often seen as the inspiration for Ocean’s Eleven. Much like the Nevada Gaming Commission requires Vegas casinos like the Bellagio to hold millions in their vaults, so too did venues in France. After discovering that a casino in Deauville had 800 million francs in the vault, Bob Montagné (Roger Duchesne) made a move to steal it. However, much like Danny Ocean discovered years later, robbing a casino isn’t as easy as it seems. A Subgenre With A Lot To Offer. As you can see, the gaming world in reality and on screen is a lot more diverse than many would expect. While there’s no doubt Ready Player One is a fantastic example of this cinematic subgenre, it’s certainly not the be all and end all. From the video gaming side of the industry to the betting sector, there’s a wealth of stories to be told. In fact, if Ready Player One can do anything for the indie scene, maybe it can encourage viewers to seek out some of the lesser-known offerings out there.